1 night only, 2 groups of 3 x 15 lap races. Top 8 from each group + 4 from the repecharge making a 20 car field 20 lap final. Contact: Cheryll Martin [Volunteer Coordinator] 027 22 44 012 Mob. Weather isn’t the flashest across New Zealand this weekend so sit down to watch some nz speedway racing on TV One on Sunday 23rd. Flying wheel hits spectator – Aluminium front wheel hubs now BANNED! 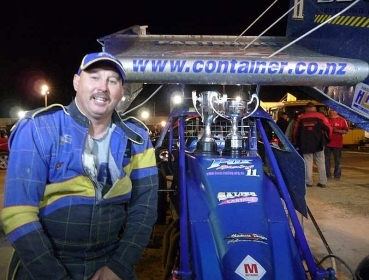 Alot of people either witnessed or heard about the incident that occurred at Rotorua’s Paradise Valley Raceway on Saturday, when a spectator was struck by a wheel that flew off Palmerston North driver Scott Joblin’s Superstock. In accordance with Rule C8(k)*, all aluminium front wheel hubs on Superstocks and Stockcars are now banned, pending further investigation. This is effective immediately. 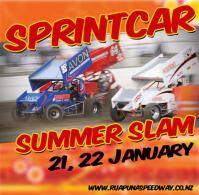 Speedway NZ appreciates that there will be inconvenience to some competitors in terms of the time and cost to modify their vehicles, but this needs to be balanced against the need to maintain the highest possible safety requirements. Please pass this information onto competitors who may be affected, so that they can make the changes in time to compete this weekend. * Note: Rule C8(k) in the 2009 orange rulebook enables the Directors of Speedway NZ to alter or add to the regulations of any class, if an urgent safety issue is identified which requires prompt resolution to ensure the ongoing safety of the sport. This is also covered in Rule C11(i) of the 2010 constitution. Make sure you pass the message on to your fellow speedway enthusiasts so everyone is aware of the new rule. 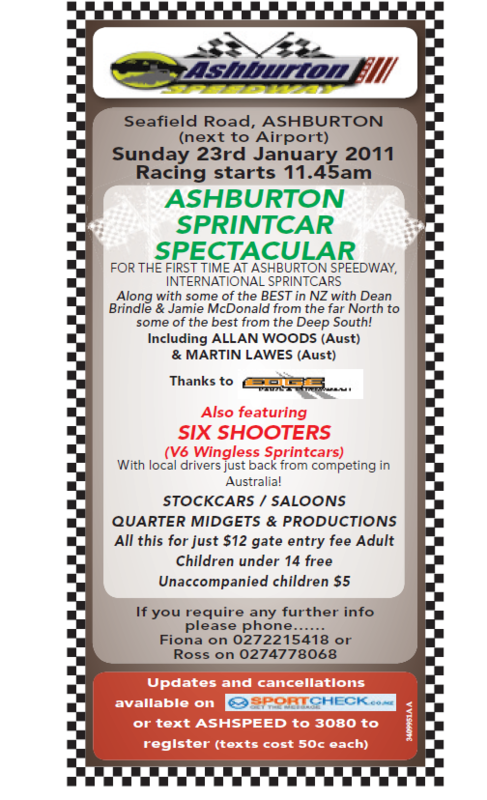 Results from Baypark Speedway’s Caravan Derby and Demolition Derby on 15th of January 2011. Results from Baypark Speedway, Super Saloon Grand Prix, meeting held 1st January 2011.